Eighteen miners suffering from the deadly lung disease silicosis filed Thursday a class action lawsuit against the South African arm of giant miner Anglo American (LON:AAL), the country’s Legal Resource Centre said. Lawyers led by Leigh Day & Co. said. the miners contracted the terminal illness from inhaling dangerous levels of silica dust while drilling rocks at Anglo's President Steyn Gold Mine. Anglo American, which moved its headquarters from Johannesburg to London in 1999, does not operate any gold mines in South Africa. However the lawyers claimed the African unit still had assets of nearly $15 billion and, as the parent company, Anglo American should respond for not having properly “controlled and advised its mines with regard to prevention of dust exposure and silicosis." Anglo is not the only resource firm facing lawsuits. Close to 15,000 former miners affected by silicosis are expected to join South Africa's biggest ever class action lawsuit against some of the world's leading gold producers, including AngloGold Ashanti (NYSE:AU), Goldfields (NYSE:GFI) and Harmony Gold (NYSE:HMY). The affidavits, filed in the High Court of South Africa in December, alleges that the 30 South African gold mining companies knew of the dangers posed to miners by silica dust for more than a century. It also details 12 specific forms of neglect and endangerment, including wilfully ignoring and/or failing to execute almost all of the recommended steps mandated in regulations and legislation designed to protect black miners from silica dust. 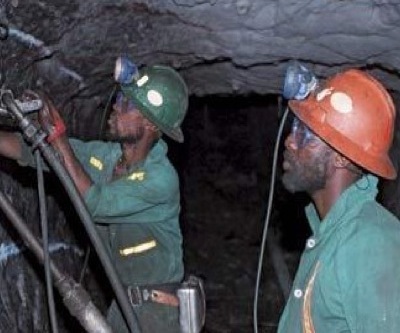 Little research has been conducted into the incidence of lung disease amongst South African miners, and the few studies undertaken by mining companies so far have focused largely upon white workers.